The dream of a place of tranquillity and simplicity, free from superfluous clutter: the ideal bathroom that survives all trends and has an indigenous feel. And all without renouncing the need for design. 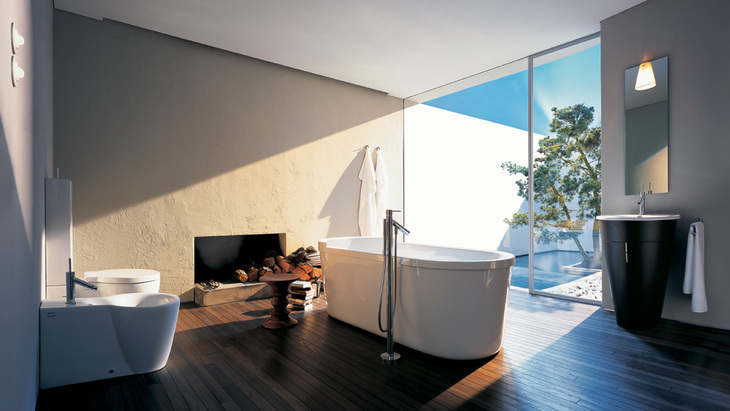 If you are looking for a timeless, modern design then the Axor Starck collection is the perfect choice. It has a powerful and compelling handle on minimalist references, as though these have long been forms from nature. Combined with natural materials, this bathroom gives you a place to reflect.